The All-in-One Media Player, by NPS Software, can play and organize all of your mp3 music files. 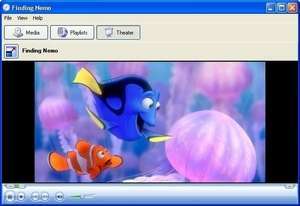 The media player supports most audio and video files including DVD and Bluray. The program does a superb job of keeping your music centralized in one place, whether your media files are spread across various hard drives or centralized in one specific directory, the program keeps it simple. The player has simple and easy-to-use controls with a high degree of functionality. For security reasons, you should also check out the All-in-One Media Player download at LO4D.com which includes virus and malware tests. Additional screenshots of this application download may be available, too. 4.49 out of 5 based on 16 ratings. All-in-One Media Player has a presence on social networks. All-in-One Media Player download been highly rated by our users.